Got a craving for barbecue? I know what that’s like! 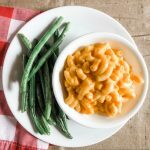 Here’s an easy dish you whip up at home in the slow cooker or Instant Pot without having to drop by your local BBQ joint to get your fix. 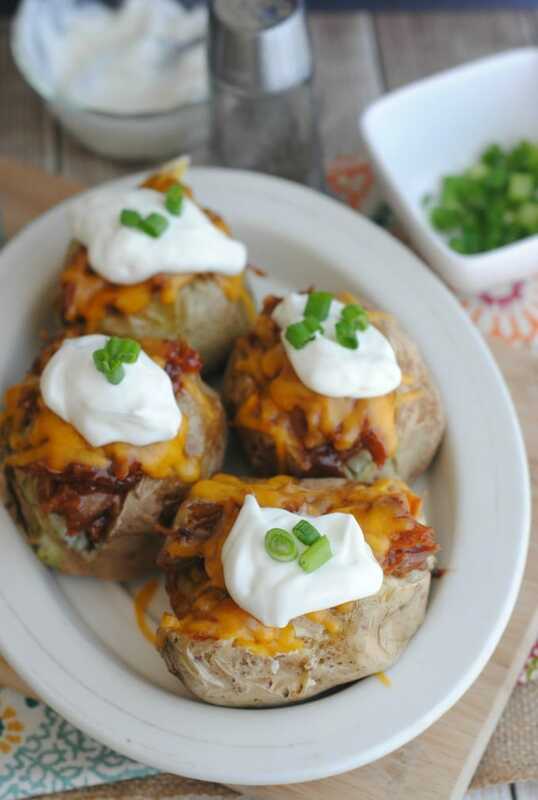 These BBQ pork baked potatoes are loaded with meat, cheese, sour cream and green onions for a flavorful dish you’ll want to make again and again. I guess you could say that my husband and I are BBQ aficionados. On every vacation we go on, we eat BBQ several times. On our date nights, we usually end up a local BBQ joint. We even had our favorite BBQ restaurant (A Taste of Memphis in Princeton, WV if you’re interested) cater our wedding in 2008. That’s how much we love it. But when it’s not practical (or budget-friendly) to get barbecue for takeout, we make some of our favorites at home. 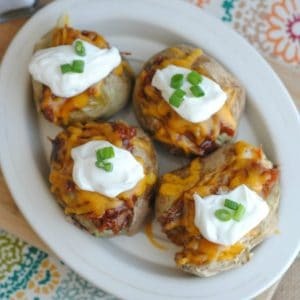 And let me tell you, folks, nothing is better than a baked potato piled high with pulled pork, shredded cheese, sour cream, and onions. Nothing! 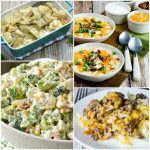 So while it may not have that smoked-all-day flavor, this is one tasty meal you’ll want to cook up ASAP. We like this BBQ pork recipe because it’s super easy to make in the Instant Pot or slow cooker, but you could just as easily pick up some pre-made BBQ pork from the store or your local BBQ joint. Can you go wrong with these? I think not. And here’s a quick tip on keeping the potatoes soft if you’re baking them in the microwave: wrap them in wet paper towels. This may be common knowledge, but it wasn’t to me, so when a former coworker mentioned it to me years ago, it changed my life. Well, it changed my potatoes, anyway. 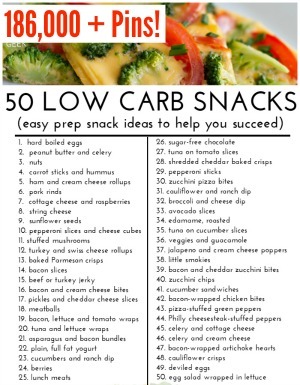 No more hard potatoes! 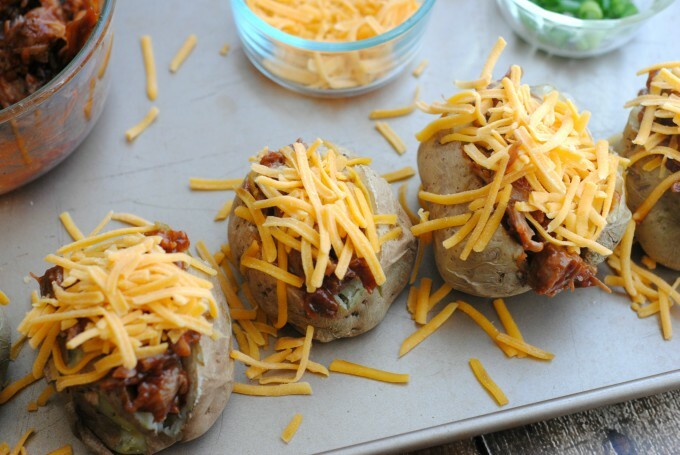 Satisfy big appetites with these fully loaded BBQ Pork Baked Potatoes. 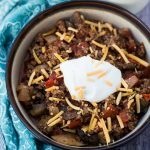 This BBQ pork is so easy to make in the slow cooker or Instant Pot. 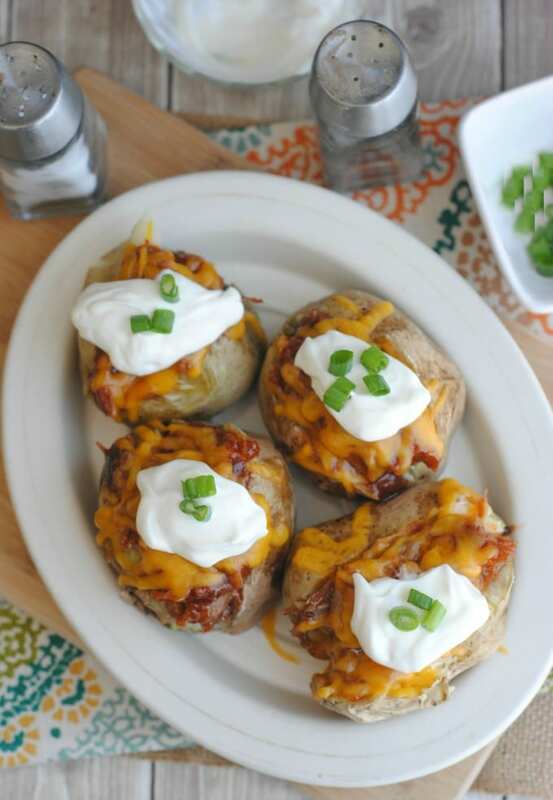 Top the potatoes with pork, cheese, sour cream and green onions for a hearty, filling meal. Salt, pepper and use blackening seasoning to season both sides of your pork shoulder. Heat the olive oil in a large saucepan and brown both sides of the pork shoulder for 10-15 on each side. Place the pork shoulder in your slow cooker and turn on low. Combine the 1 cup of BBQ sauce and the 1/2 cup of water and pour it over the pork shoulder. Cook on low in the slow cooker for 8-10 hours. Once the pork is cooked through, remove from the liquid, discard the fat pieces and shred. Add more BBQ of your choice. Use a large fork to poke several holes in the top and bottom of the potatoes. 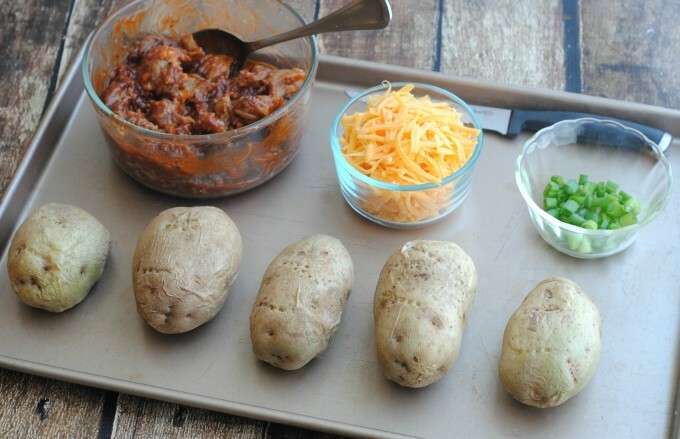 Place the potatoes on a microwave-safe plate and heat for 10-12 minutes in the microwave or until forkable. 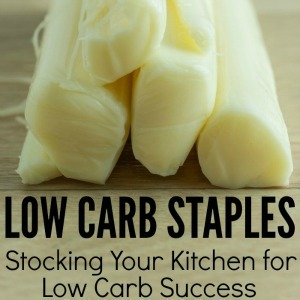 Remove from the microwave and place on a baking sheet. 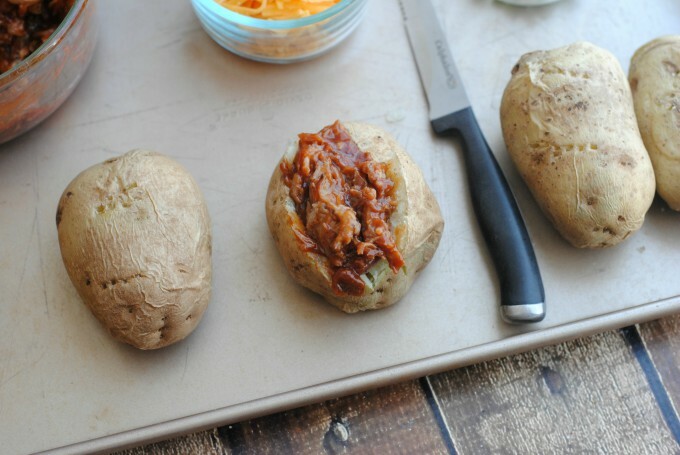 Slice each potato open and fill with pulled pork. Place the potatoes under the broiler on low for 10 minutes or until the cheese has melted. *If you using an Instant Pot, simply brown the pork shoulder in the Instant Pot and then pour the BBQ/water mixture over the top of the pork. Seal the lid shut and manually enter 90 minutes. Once the Instant Pot has vented, remove the pork from the liquid and follow the steps above. There you have it, folks — one of our favorite meals. The slow cooker makes it a breeze. You can’t possibly have a bad day when you come home to the smell of barbecue simmering away in the Crock Pot.